Traditional training doesn’t encourage adults to naturally change, because it is a day or two of rather boring training and not much else. Traditional training is more likely to be ‘off the shelf’ – featuring a trainer who lacks real world business experience. There will be 1-2 days of some rather dated slides, a lot of ‘chalk and talk’, a future-dust-gatherer called a workbook, and not much learning going on at all. Traditional training might get a temporary spike in performance, but it is quickly forgotten about because it hasn’t gone beyond skin-deep. 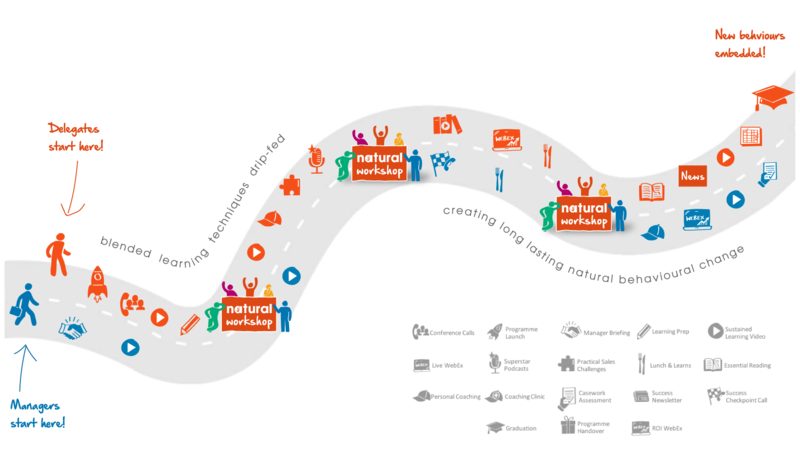 Natural Training is where real change lives, with lots of learning opportunities built into a transformation path. 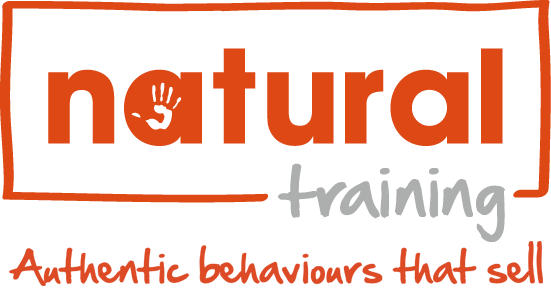 Natural follows the latest thinking in adult learning, such as the 70:20:10 principle, to ensure that your people actually change, rather than simply ‘get trained’. We develop your people’s instincts to perform over a change period such as a 30 day transformation path, with clever ‘little and often’ learning outcomes that drive stunning results. Find out more about how we change the behaviour of adults – for good – with our corporate training. Whether it’s sales training, leadership, presentation training, negotiation training, or sales management training, we strive to outperform the market with our high-impact programmes.